Are you ready for $5 per gallon gasoline prices? 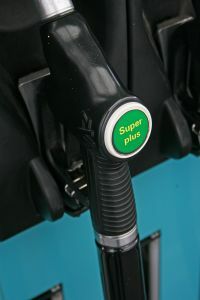 Experts warn that the summer of 2012 may bring $5 per gallon gas prices to the United States. Current gas prices at $3.75 per gallon equate to over a $100, one-time gas station fill up for our mini-van and an extra gas can for the family lawn mower. Most months, we require three gas fill ups for only the mini van alone—and an additional $50 per week for the husband’s commuter car. The prediction of $5 per gallon gasoline during the busy summer of 2012 is sure to change not only our summer plans—but, those of many other one income, cash strapped families. What can you do to help offset expensive gas prices as a family? Take a hard look at family summer camps and activities. In our family, $5 per gallon gas will leave less money for camps and costly summer activities. Our girls are active in sports, dance, and a variety of other extracurricular activities. Increased gas prices will certainly impact our available budget for those extra activities. While it is painful as a parent to force our girls to make difficult choices, we may simply be forced to cut our busy summer down to only one or two favorite activities per girl this year. Take on carpool arrangements. Our middle daughter competes in Irish dance and attends classes in a nearby city three nights a week. Over the summer, she is set for two, possibly three, weeks of camp instruction to help her meet her dance goals for the next year. (To the tune of multiple weekly gasoline fill ups!) If gas prices rise, the cost of the camps plus the cost of gasoline are just not feasible—we’ll simply have to divide the costs with other local families through carpool arrangements. Many other families may be just as willing to carpool--but, hesitant to speak up. Carpooling is not only gas budget friendly--but, helps moms with time management and green friendly efforts as well! Speak up and show a carpool interest. Find home-based summer entertainment. Rather than expensive trips to the movie theatre, the mall or local (expensive) hotspots—our family will be more inclined to host sleepovers, group playdates or take advantage of our backyard pool to entertain our daughters and their friends instead. Even if home front fun is a bit costly, it will likely not come close to extreme gas expenditure ridden alternatives! Seek out "Staycations". Our family of five rarely books group airline flights—it’s just too expensive. With the expected increases in gasoline prices—driving vacations may be cut short as well. Luckily, living in Central Ohio, we have a number of state park vacations, or trips to the Hocking Hills, Lake Erie or even the Ohio River as viable local getaways. Check out your local area for fun, local vacation options. Take a look at your summer plans. I am certain that you can find a number of ways to cut down gasoline expenses with just a bit of thought, creativity and compromise.